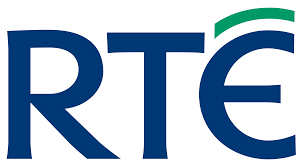 But the ethos behind it is the perception that the effective monopoly on the TV Licence Funds by RTE is unfair and disadvantageous as they too provide a public service. Their argument is rooted in economics and is weak in the absence of addressing head-on the special role Public Service Broadcasting’s (PSB) have in society. The originator of PBS is Lord Reith the first Director General of the BBC 1923-1938. He was an advocate of journalistic independence from the government and in particular impartiality in government matters, which is a still a core principle of all PBS today, albeit harder to put into practice. Reith’s manifesto was characterised by an overriding concern for high standards and a unified policy towards the whole service. Broadcasters had a responsibility to bring the best in every department of knowledge into the greatest numbers of homes. Preservation of a high moral tone was paramount. Today some additional features have developed such as universal geographic coverage in reception as well as transmission, diversity of content – providing for a wide range of tastes, interests, opinion, beliefs etc. and that is should provide a platform of minorities. It should have concerns for national culture, language and identity. And a specific concern for quality. Crucially and often a sticking point with the public , it should be politically unbiased but also provide a public service in terms of delivering access to the political realm. Eg. Presidential debates, news interviews, political broadcasts like Orieachtas Report get specific coverage and naturally feature the government parties as a priority. In order to preserve these admirable attributes of the public news media institutions PSB advocates would argue that taking the bulk Licence Fee is necessary. But RTE are shaky ground with this because this argument is based on the premise that advertising will pollute the purity of the service, and RTE as a hybrid-system carries adverts. The separation of state and the pubic service broadcasting is also vital. A private corporation or owners like Denis O’Brien’s who elsewhere tender for Government contacts could not meet the PSB requirements outright. As well as the external threats in the digital age there are also arguments from PSB critics that it is elitist and obsolete in age of mass mediation in the age of infinite choice. The argument gets more complex when we consider RTE’s dominance in Ireland’s digital sector where it competes with the Independent.ie and IrishTimes.com. And the constant background complaints that RTE’s local coverage has been sacrificed for more commercially attractive content. Shouldn’t a redistribution of the Licence Fee extend across platforms in the digital age? The dividing line between private newstitles and PSB media outlets is in the mandate of the institution. During any coming debates on the TV licence fee some things have not changed since Lord Reith’s manifesto; the audience, and not the economics of the outlets, should be at the heart of the discussion. But the PSB system and the where the dividing line is drawn needs to be contextualized within the new digital framework. Only then can any move to change the current system will be truly meaningful for Irish audiences.